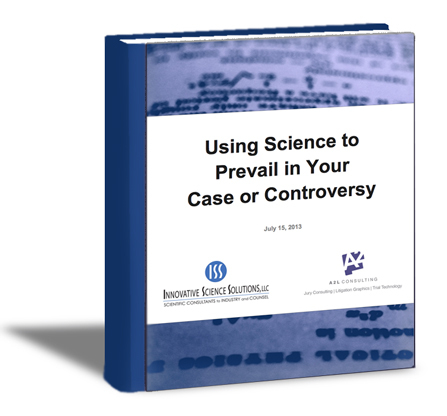 This unique science-focused book is co-written by the litigation-focused scientists and experts at Innovative Science Solutions and A2L's industry leading litigation consultants. It is an unprecedented guide for those who manage science issues inside and outside the courtroom. In our first book about the science issues faced by litigators, consultants and policymakers, we also offer an industry first - a book co-authored by scientific consultants who have been serving the legal community for the past 25 years and the best jury consultants and litigation graphics as voted by the readers of LegalTimes and the National Law Journal. Topics discussed include presenting scientific issues to juries, establishing causation, epidemiology & litigation, tips for expert witness testimony and much more.